Oatmeal is a most wonderful food. However, it is not properly prepared by many and is terribly abused by the majority of people. It is one of the finest foods for growing children that we have, but the way the oats are eaten many times spoils the real quality of the oats. When milk and sugar are put on the oatmeal, they cause it to ferment in the stomach and thus its benefits are lost. A fine way to prepare oats is just the way it is given on the package. Cook the oatmeal this way to increase the fiber in your diet: combine equal parts of steel-cut oats and sterilized bran with water according to the directions on the package. Cook six to ten minutes, then set aside five minutes before serving. A considerable part of this will be imperfectly cooked; therefore, it is not readily acted upon by the saliva and intestinal juices but passes on into the colon where it will aid in the destroying of putrefactive poisons caused from the decomposition of proteins and other foods. Oatmeal can be used in many ways. When oatmeal is not spoiled in the preparation or used in wrong combinations, it is one of the finest foods we have to prevent disease. Oatmeal water should be more frequent use than it is. It is a very good medicine for the sick. 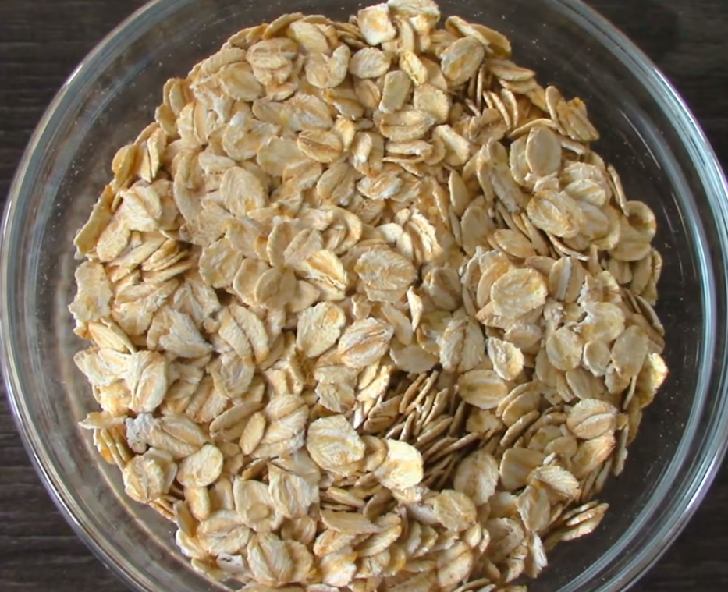 To make oatmeal water, use the finely flaked oats and put two heaping teaspoonfuls in a pan with a quart of water. You can make it stronger or weaker to suit your taste. Put it on the stove and let it simmer for half-an-hour. Then beat it with a spoon or eggbeater and strain it through a fine sieve. This makes an excellent drink for anybody, especially the sick. If desired, you can add just a pinch of salt and little soybean milk. Another recipe for making oatmeal water is; take a heaping tablespoonful of oatmeal to a quart of water and let it simmer for two or two and half hours in a tightly covered pan, and then strain it. This makes a very refreshing, cooling drink after it cooled off in the icebox. Oatmeal also if combined with other foods prevent congestion and the formation of toxins and acids due to the reaction of the acids, would do more to prevent contagious diseases than all the serums thus far invented. Oatmeal is neither artificial nor a substitute. It is a natural agent that supplies those elements that, by their antiseptic properties, help to combat contagious infections. Besides this antiseptic quality, oats are rich in phosphorus, which is required by the child for the formation of strong bones and teeth and also for brain and nerves – tissues required by the mind in the study.